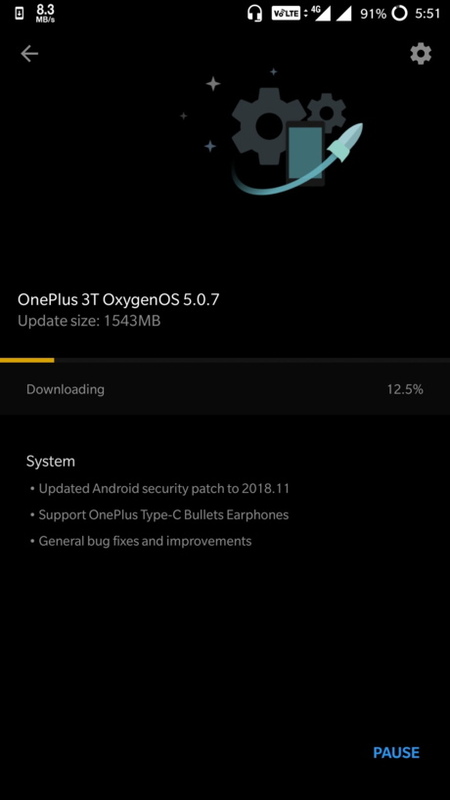 Updated December 13, 2018: Oxygen Os 5.0.8 HotFix OTA is now rolling out for OnePlus 3 and OnePlus 3T with the stable channel. Some users were facing instability issues with the previous Oxygen OS 5.0.7 that was released at the end of last month. This new hot-fix will get rid of all the bugs from the firmware. So download and install Oxygen OS 5.0.8 for OnePlus 3 and 3T full stock firmware. Change log remains the same. Oxygen OS 5.0.7 is now rolling out for the OnePlus 3 and 3T. This is a small OTA update that comes in support for the manufacture’s latest technology and accessories. The new firmware features November 2018 android security patch. It also supports the manufacturer’s new OnePlus newly announced Type-C Bullets Earphones. So download and install Oxygen OS 5.0.7 for OnePlus 3 and 3T. Not much has changed for the OnePlus 3 software. However, this is a direct jump from the September security patch, that came with Oxygen OS 5.0.6, to the latest November. You can also except some general bug fixes and improvements on top of the already optimized software. The software is still based on Android 8.0 Oreo and the manufacturer has promised that Android 9.0 Pie will come as soon as OnePlus 5 and 5T phones are updated. Here we have the OTA update or the full stock firmware packages available for OnePlus 3 and 3T. These are the full stock firmware packages. OTA updates can be captured using the following steps. The full signed firmware of can easily be installed using Local Upgrade method. 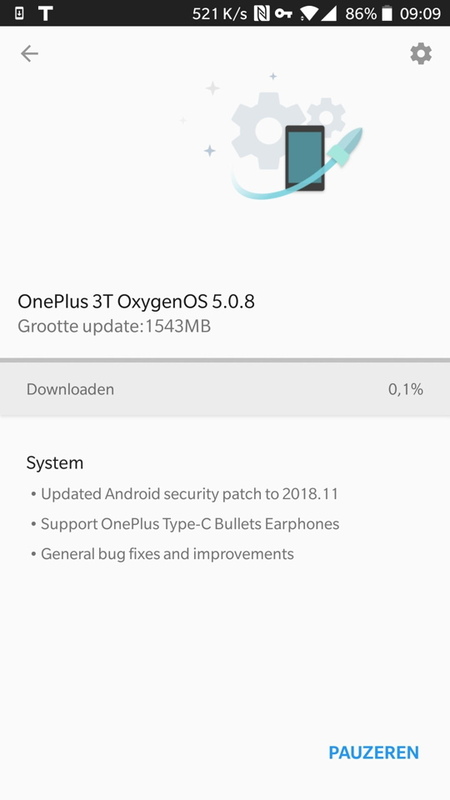 Alternatively, if you would like to capture Oxygen OS 5.0.7 OTA update from the previous OOS 5.0.6, the download a VPN app from Play Store, change location to Canada or Germany, and then visit settings > system updates > check for OTA updates. How to install full stock firmware zip?